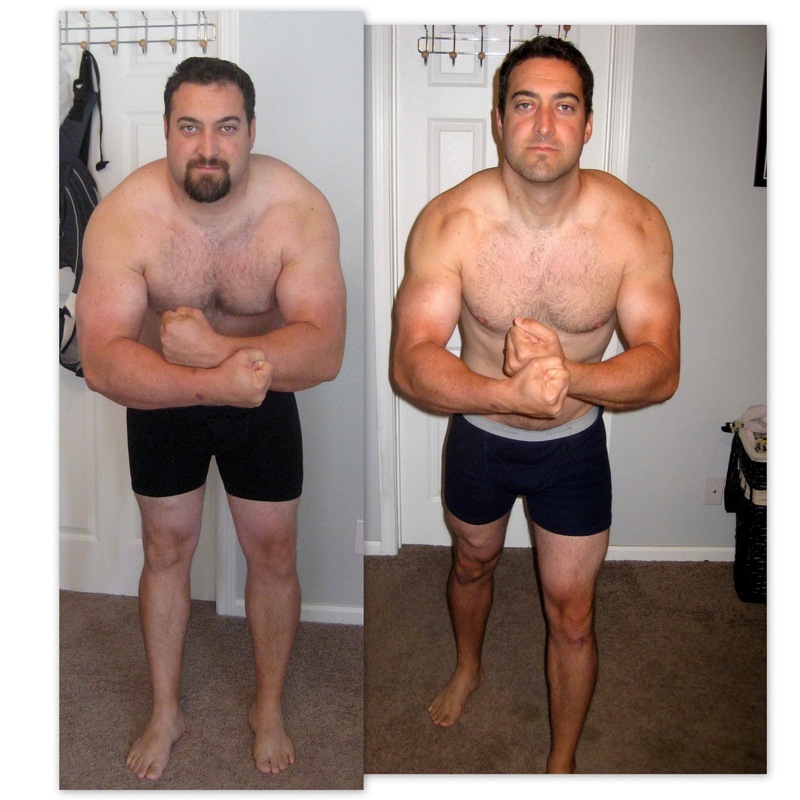 A little over a year ago, Nathan began a weight loss and body recomposition journey. Over a ten year + period, Nathan gradually put on weight. As a child and a teen, he was naturally thin and fit. As a freshman in high school, he was a skinny little thing and over his high school career he put on muscle. As a senior, he had a body many would envy. He was even a personal trainer for some time. Then at twenty-four, Nathan was in a car accident. He injured his neck and couldn't workout for eight months. He also started working jobs that had him on the road a lot and he found himself eating fast food and gas station quick meals, yuck! He started to put on weight. When we started dating, he weighed around 210, and by the time we were married he weighted 230. 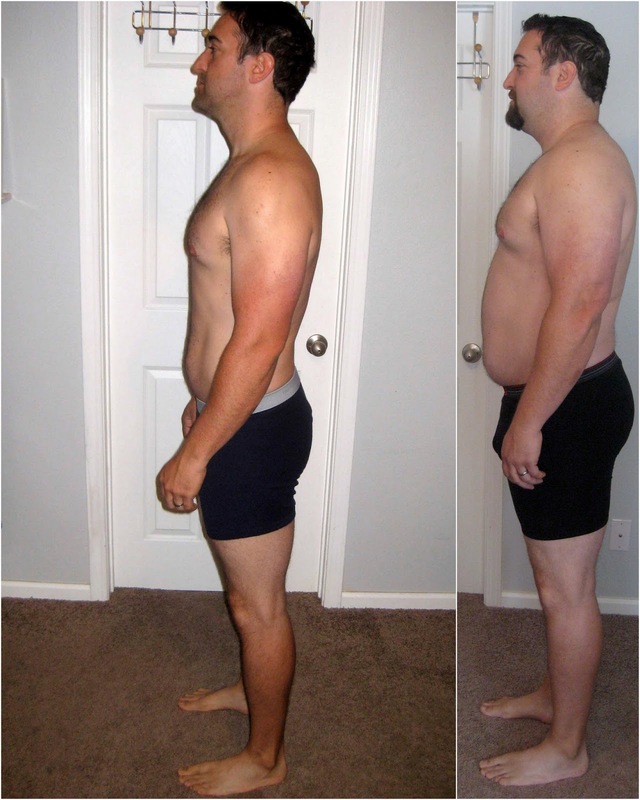 He worked out pretty consistently throughout this time, but his diet wasn't right. After five years of marriage, Nathan weighed 252 pounds. He tried many diets, but nothing seemed to stick. Additionally, he had developed a food addiction and had internal personal struggles. He'd find himself on fitness websites like Bodybuilding.com researching different weight loss and weight training philosophies. He was drowning in information. Not long after Hudson was born, Nathan came across a nutritionist on Bodybuilding.com. After going to her website, he realized he agreed with her philosophies. Doing it on his own hadn't worked, so he decided to hire her. Each session was for twelve weeks, and they communicated via email since she lives in Australia. She set up Nathan's daily caloric needs. She told him how many proteins, carbohydrates, fats and how much fiber he should eat, and this all depended on his exercise routine for the day. He measured and weighed all his food on a scale and kept track of the nutritional values on a computer program. Believe me, I know it sounds like a lot of work and it took some getting used to, but after some time it became quick and easy for Nathan. His nutritionist also told him what days to workout and what muscle groups to work. It's all very scientific. On average, he worked out six days a week. He worked out different muscle groups each time and he did moderate cardio. 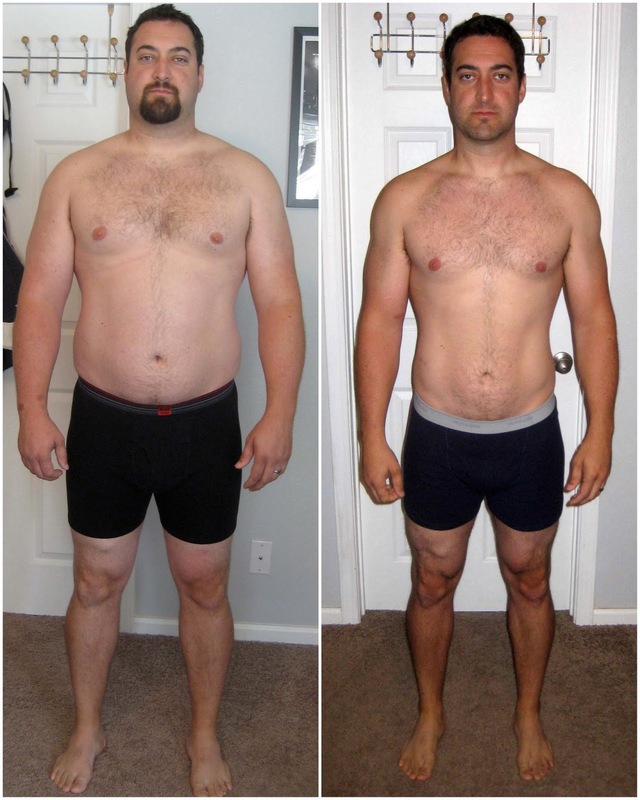 Nathan's journey is not over, he wants to put on more muscle, but after a year he went from 30% body fat to 15%. 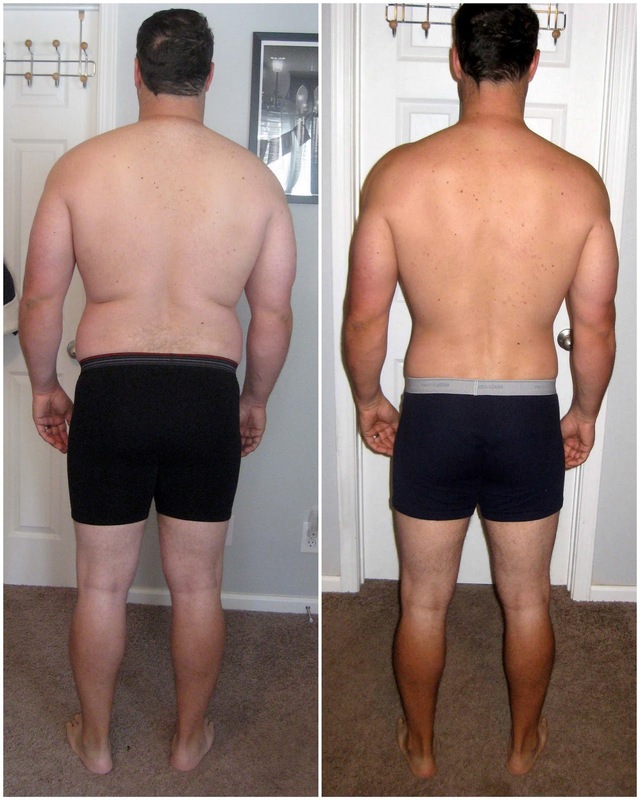 He went from 252 lbs to 191.6 lbs; he lost a little over 60 lbs. His cholesterol is down sixty points and well in the healthy range. The important thing for Nathan as he began this program is, he didn't want to eat chicken, brown rice, and broccoli, and he didn't. He found healthier options of the food he enjoys eating. He ate hamburgers, tacos, french toast, burritos; he even ate Lucky Charms if his calories allowed. I very proud of him. He made a decision and he committed. He reinvented himself. When I look at the side by side before and after pictures, I'm amazed. Nathan gives me a hard time about how I never told him he needed to lose weight. See I knew he could lose weight, but I never realized how much. I loved him despite his size, but I have to say I'm quite smitten with him now. -It's basically about calories in calories out. Calories are to fuel your body, if you're not going to use the calories, don't eat them. -You need to make sure you are eating enough calories. Many people make the mistake of eating too little this doesn't do your body any good either. -Protein is important. You should eat your body weight in protein each day. -Weight lifting/training is what's key to reshaping your body, EVEN FOR WOMEN. Ladies, you will not get bulky from weight training. We do not produce enough testosterone for this to happen (the bulky weight lifters you see are taking supplements). I've been doing weightlifting for a few months and I already see changes I never did when I did light weight lifting and high-intensity cardio. -Cardio is important, but not to the extent that many think it is or make it. His nutritionist had him doing moderate cardio. On heavier cardio days, he would run for only 20 minutes, and not for 20 minutes straight. He would sprint for a minute and walk for a minute--interval training. He'd do that for 20 minutes and then go low and slow (walk) for 20 minutes. Think about it, do you want the muscle of a sprinter of the limbs of a marathon runner? Running for too long and too often will only deplete your muscle. Some days he would just walk for 45 minutes. -Weighing your food makes a huge difference. Nathan weighted nearly every last thing that went into his mouth. -You don't have to eat 5-6 small meals a day to keep up your metabolism. Nathan chose to eat 2 big meals a day. The important things are meeting your caloric needs, and it's okay to eat after 6pm. -Abdomen weight is the last to go. This is not happy news for me either. -Persistence, patience, and perseverance are key. It took Nathan a year to achieve these results. Nathan is happy to help anyone who has questions, so leave a comment. this is awesome!! I loved all the advice and Nathan looks great!! Good work, it's very inspiring. who was the trainer? You both look awesome!